After a 2013 model refresh, it's clear that the Toyota Avalon is here to stay and has cemented itself as one of the industry’s premier luxury sedans. The 2014 Toyota Avalon in Lima, OH not only features an elegant exterior design, but it also brings together some of the highest levels of luxury interior appointments of both comfort and technology. Available in four different trims, there is an Avalon out there to meet everyone’s needs. Not only does the Avalon deliver a sophisticated ride, but it its strong V-6 engine and improved steering system provides a responsive and enjoyable ride. The 2014 Avalon in Lima, OH comes equipped with one standard engine, a 3.5-liter V-6. The Avalon’s V-6 engine provides a potent combination in terms of both performance and fuel economy, putting up some of the best numbers in its class. Producing nearly 270 horsepower and 248 lb-ft of torque, the Avalon can zip from 0-60 mph in just 6.8 smooth seconds. 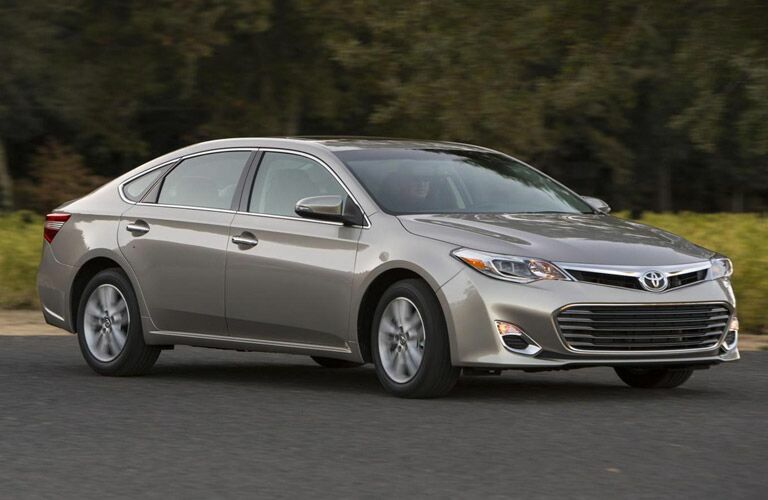 In terms of fuel economy, the Avalon records an EPA estimated 21 city and 31 highway mpg rating. As a part of the 2013 model redesign, the Avalon also received a new electronic steering system to improve the responsiveness and feel of the drive it delivers, letting the diver enjoy the Avalon on a completely different level. 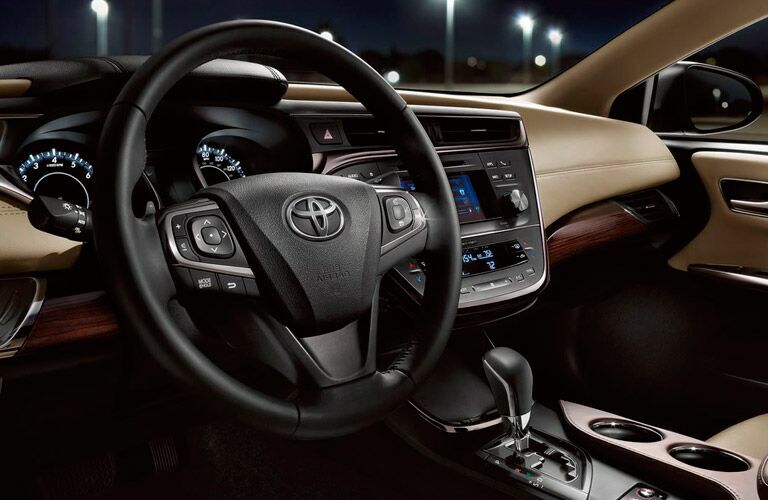 The interior of the 2014 Toyota Avalon in Lima, OH gets draped in some of the most luxurious and intuitive features of any automobile on the market. Soft leather is mended together with custom French stitching and wrapped around the Avalon’s seats, dash, steering wheel and other surfaces. The rear seat accommodations for passengers is second to none where they have both the room and comfort that makes even the longest of trips seem like a first class flight. The Avalon’s interior also boasts some impressive technology and safety features, such as an available in-dash infotainment system with Smartphone integration, frontal collision warning system and a drive mode selector to enhance the responsiveness and performance of the engine and steering.